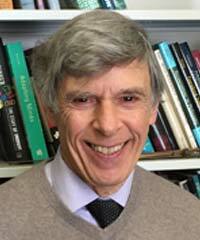 Professor Richard Kraut gave the 9th John Ackrill Memorial Lecture at 5.00 pm on Thursday, 9 March, in Brasenose College, Lecture Room XI. The title of his lecture was ‘Kalon, Sumpheron, Hêdu in the Nicomachean Ethics’. Professor John Lloyd Ackrill, a leading figure in the study of Ancient Greek philosophy, joined Brasenose College in 1953 and became Professor of the History of Philosophy at Oxford in 1966. He published widely on Aristotle and Plato and, for over 40 years, he edited the Clarendon Aristotle Series, which are translations of Aristotelian texts accompanied by philosophical commentaries. The John Ackrill Memorial Lecture, inaugurated in 2009, is held in honour of the outstanding contribution he made to the study of ancient philosophy. The previous speakers are: Terence Irwin, David Wiggins, Richard Sorabji, Gisela Striker, David Charles, Gail Fine, Gábor Betegh, and Lindsay Judson.